As the above chart illustrates, 2011 was largely even with 2010, but that was a win compared to multiple years of decline. New Home sales were off due to lack of supply and the heavy competition with the used market. Using our newly developed projections, described here, we forecast total unit sales of 957 for the month vs the actual of 958. 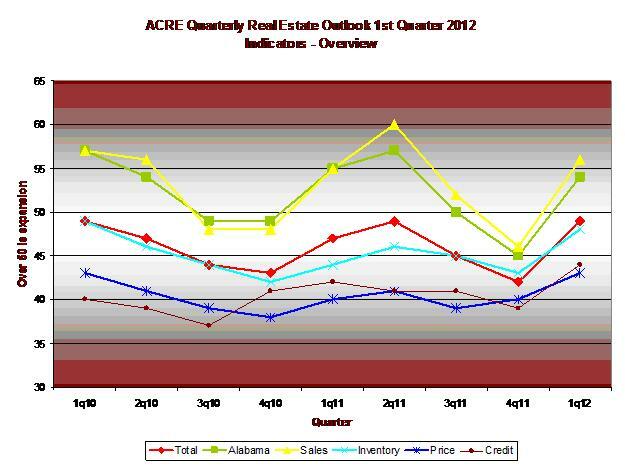 For all of 2012 we forecast total unit sales of 13,430 vs the 12,468 in 2011, which would be a 7.7% increase. This projection is still preliminary based on my estimate of the January unemployment rate. We expect that average prices will still be under pressure. We will be refining the methodology over the next few months. We expect that the projections will yield more interesting insights. Sales in December declined 8% to $144,754,123 from November’s $158,165,809, up 10% from last December’s $131,046,122. The 12 month moving average line for total dollar sales remains tilted slightly upward. Unit sales were down 1% to 958 in December from 971 in November, a decrease of 13. This is a 10% improvement from December 2010 at 868. New sales improved 22% to 130 homes this month from 107 in November, an increase of 23 units. Used salesdeclined 4% to 828 homes in December from 864 last month, a decrease of 36 (Sect E p.3). This month total inventory is dramatically lower at 9,611 vs. 11,919 last year and 11,185 last month. The dramatic drop in the current month was undoubtedly caused by year-end expirations which will come back on the market shortly. Active New listings decreased to 816 in December from 1,135 in November, a decline of 319 units (Sect E p.3).Housing permits showed a decrease in Jefferson County to 77 in November from 78 in October. Shelby County was up to 19 from 18 (see website for details). Absorption for Used homes in December shows 9 months, three months better than 12 months last year. Used Active listings at 8,795 lower than 10,777 last year (Sect E p.3), (Sect E p.3). Birmingham area Average Days on Market for New houses was 209 compared to last month at 191 . The Used homes DOM was 141 in December, compared with 148 last month (Sect A p.18). NOTE: DOM for Used Homes indicates that well priced homes are moving in less than 6 months. The high months of inventory indicates that sellers, including bank owners, are still holding out for higher prices. Again: If the home is not selling, reduce the price, particularly since we are in the slower sales season of the year. Average sales price for Sold New homes increased to $237,784 from $233,344 last month (Sect A p2). Average sales prices for Sold Used homes decreased to $137,491 from $154,164 last month (Sect A p2). The twelve month moving average price line for Used Homes has been quite steady since mid 2009. Average Home prices, new and used, have stabilized (Sect A p2). This is mostly a reflection in the change of “mix” with more larger homes being sold, but the price of any specific home remains under pressure. As the above chart illustrates, 2011 was largely even with 2010, but that was a win compared to multiple years of decline. Price pressure indicated by the decline in average prices will likely continue. We published our preliminary outlook for 2012 on the web site Here. 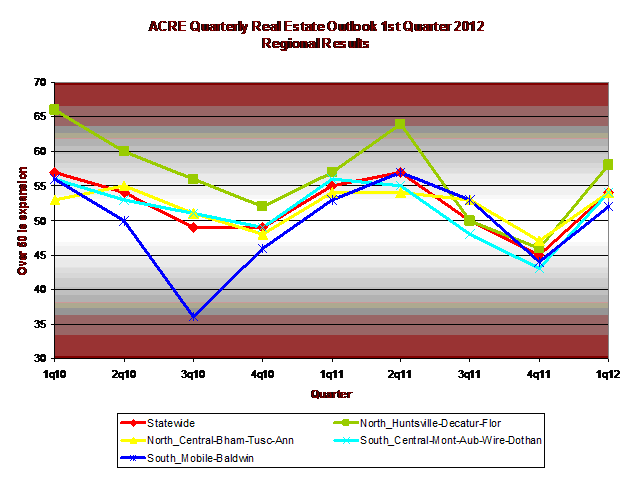 I forecast a 2.2% increase in units for 2012. Currently this is based on my estimate of the January unemployment rate which will be released in Late February. Given the pricing pressures, it is likely that total dollar sales will be down slightly. The numbers will be revised when the final unemployment rate for January comes out. December sales improved 6% to $109,029,076 vs. November at $103,296,410. This was virtually identical to last year at $109,443,153. The twelve month moving average line on the total dollar sales chart is flat. Total unit sales increased to 688 in December vs. 668 in November increasing of 20. New sales increased to176 this month vs.142 last month, increasing 34. Used sales decreased to 512 this month vs. 526 last month, decreasing 14 (Sect E p.3). Used inventory levels remain high this month at 12 months (see the chart Sect C p.1), with the situation particularly challenged in the higher price ranges. Used homes over $100,000 are still over 12 months of inventory and over $400,000 have two or more years of inventory. New home absorption is 9 months of inventory overall, (with last month at 10 months), (E-1). The New Home inventory level in the $300,000-$500,000 is approximately 5 months (not bad). There continue to be a large number of housing permits issued in Huntsville city, given the market conditions. November decreased to 78 vs. 79 in October (chart on the web site). Total Active listings decreased this month to 7,920 compared to last month’s 9,034, which is below last year at this time at 8,879 with the reduction likely exaggerated due to year end expirations. (Sect A p.4 and Sect E p.3). Active New listings decreased from 1,491 last month to 1,320 in December, down 171. (Sect E p.3). Active Used listings decreased from 7,543 last month to 6,600 this month, down 943 and below last year’s amount at this time of 7,473. (Sect E p.3). Average Days on Market for Sold New homes was 177 vs.142 days last month, with Used at 142 in December compared with 149 in November (Sect A p.18). Days on Market at or below 6 months, while the inventory numbers are way higher, indicates well priced homes are selling. Sellers, including bank owners, are not adjusting to the new price reality which contributes to inventory build-up. The above chart illustrates, 2011 was a very substantial improvement over 2010. New Home sales were off due to lack of supply and the heavy competition with the used market. Prices remain under pressure. Dollar sales this month decreased 2% to $57,553,203 from November’s $58,582,263. This is 15% below December last year at $67,350,226. (Sect A p.2). The 12 month moving average line of sales flattened out once again. Inventories have been coming down quite dramatically. Unit sales have recovered to normal levels. Dollar sales still lag reflecting fewer high end sales and lower prices. This situation is starting to reverse, with more high end homes selling. Still, it is unlikely that prices will increase for a while. On a unit basis, sales of all houses declined 8% to 297 this month vs. 322 last month, which is 9% down from last year’s 325. Used Home sales declined 10% to 272 this month vs. 303 last month, which is down 8% from last year’s 296 (Sect A p.18). New Home sales were 25 this month vs 19 last month. Low sales of New homes reflects intense competition from existing, and the shutdown of new construction. New listings for New homes decreased to 34 from 57 in November. Used houses New listings decreased to 422 from 512 in November with net inventory down. The absolute number of Used Active homes on the market, which had a slight peak mid-summer of ’09, has once again been improving. In December, there were 3,461 Active Used homes, a reduction from 4,004 in November. The New home market, which peaked in December 2006 at 2,144 Active, now sits at 317. The Absorption rate for New homes was 12 months of inventory for December vs. 14 in November. The Absorption rate for Used homes was 10 months of inventory for December vs. 12 in November. Over the last four years the drop in months of inventory for Used homes has been steady and impressive from 25 months plus in December 2008 to 10 months this December. Average sales price for all homes has been stable for the past year. For New units, prices decreased to $192,034 from $219,064 last month. (Sect A p.14). Average Used home prices increased to $193,943 from $179,604 in November. Average Days On Market for New Sold properties in December was 186 this month vs. 174 last month. Days On Market for Used was 169 this month vs. 190 last month. While we have developed some interesting projections for the Real Estate Market in the Statewide, Birmingham and Huntsville markets, the numerous events on the coast such as the oil spill and several tropical storms, make the methods we used in the other markets unsuitable for the coast. Real Estate Trends in 2010 have followed a pattern that was expected: as mortgage rates and homes sales have dropped, inventories of unsold properties have risen. The inventory currently on the market is only a portion of a larger inventory of REO (Real Estate Owned) by banks, which is held back and released slowly over a period of time, in order not to cause an even greater decline in housing values. As we approach the end of the year, trends of 2010 will continue into 2011, following the same general pattern, with a slow recovery expected towards the end of 2011. Some speculations predicted that the recovery would have started towards the end of 2010, but with new problems in the international economic markets, it looked like we took a double dip into the current recession. However, economists state that a double dip recession is unlikely, although spending and investments in the established economies have been challenged by emerging economies, like India and China. Real Estate Trends are following the larger economic picture: the mortgage crisis has indeed caused a lot of turmoil and scars, which have created a domino effect with high unemployment, low consumer spending, consumer credit slow down and weak housing markets. The large number of homeowners, who have lost their house in foreclosure, are not going to buy another property in the near future, because of the impact of the foreclosure on their credit (banks will not even consider a mortgage for a borrower for 4 years, if he/she had a foreclosure, 3 years for FHA loans,) therefore there is a new population of renters. Investors, who have access to capital, can acquire homes for 60 cents on the dollar or less, via short sales and REO. They in turn keep these properties as rentals and investments, waiting on an inevitable economic recovery and increase in values. Other Real Estate Trends worth mention are in the arena of commercial properties: commercial properties have followed a different pattern than residential properties, holding on to the market value longer and only in this last year have started to lose their balance, as large mortgage notes have become due and refinancing has become harder. Some great deals are available in commercial investments, from larger apartment buildings to shopping centers. This is definitely the time to buy and it will continue for another couple of years. Inventory in residential and now commercial properties is abundant, seller’s contributions as allowed are more available and the Government (especially HUD) is providing grants and incentives not only to homeowners, but also investors, in an attempt to expedite the housing recovery. Laura Al-Amery is a real estate investor and consultant with 23 years experience in several aspects of the real estate business. She has practiced real estate in Hawaii and Missouri, and presently lives in St Louis. She has hosted real estate seminars in St Louis for over 10 years, in real estate subjects like creative financing, building wealth with multi family buildings and short sales. For a FREE Report on “The 8 Most Profitable Real Estate Niches,” which will explain in detail the type of investments and the pros and cons of each one, please visit http://www.bestrealestateniches.com.